This week’s article is somewhat different than the others. Instead of writing about one track or one artist, this article will be about alot of tracks with one common thing. All tracks are trance- or other EDM-versions of ordinary commercial pop-tracks. My fascination with electronic dancemusic started at an early age. Could have to do with that my brother was into synthmusic or that my family had MTV already back in 1984. I have never been a radio-person as I think that most tracks played there (especially the commercial radio stations) is played over and over until people are fed up with the tracks. What I wanted to hear was something else than the ordinary radio-listener heard. I wanted to hear the club mixes or remixes of the tracks. So I started buying 12” singles and later CD-maxis to feed my brain with stuff that most people never heard (if they didn’t go to a club). I started listening to clubmusic long before I started frequenting clubs as there’s usually an 18 year minimum on swedish clubs. But when my time was in, me and my friends used to go out 1-2 days every week, both to dance and to drink. Enough about me, now let’s get back to the music. I got this idea of this article while listening to Evanescence – Hello (Trifactor vs Gabriel & Dresden Remix). If you compare the remix to the original, the original is somewhat of an emo-ballad while the remix seems abit happier but still keeps the original piano and voice. When you come to think about it, there has been alot of beautiful tranceversions which originated from radiomusic/commercial pop. 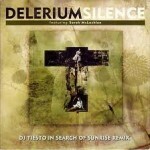 Another track that’s highly thought of in the trance community is Delerium featuring Sarah McLachlan – Silence (Tiesto’s In Search Of Sunrise Remix) which is a bang-on trancer while the original is a slow track with gregorian chants but still danceable. When we’re on the subject of Delerium, they have been the remixers choice the last 10 years. The Delerium-single After All came in 2 versions. Original and Svenson & Gielen-remix. The latter usually found its way onto compliation albums whereas the original was only available on the album or as a single. Another example is the Madonna-hit What It Feels Like For A Girl where the official radio/video-version was the Above & Beyond Remix. Madonnas music has always been dance-oriented and the last few albums has been produced by the elite in the music industry to give her that dancefloor edge she’s always had strived for. Speaking of ladies, another remix favourite is Dido. Her original tracks has always been well-produced as her brother is the all-famous Rollo (from Faithless). Her track Sand In My Shoes got a well-deserved remix-work from Above & Beyond. Dido’s Don’t Leave Home got a treatment from Gabriel & Dresden. 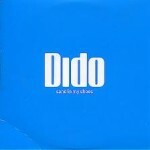 Both Dido-tracks are personal favourites. Another Dido-track to take a look at is Stoned (Deep Dish Remix) which is more housy than the original. Last but not least, the Armin Van Buuren-remix of Dido’s Everything To Loose. 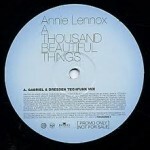 When mentioning Gabriel & Dresden, it’s hard not to mention their fabulous remix of Annie Lennox’s old ballad A Thousand Beautiful Things. Also worth mentioning is the Kuffdam & Plant-remix of Annie’s The Saddest Song. It’s hard to forget one of the first tracks that made the remix bigger than the original. 99% of the times when you hear Everything But The Girl’s smash hit Missing, it’s the Todd Terry Remix you’re hearing. It was one of those tracks that showed the music industry what power a remix can have. Another early crossover-track was the William Orbit remake of classical musician Samuel Barber’s track Adagio For Strings which got an awesome Ferry Corsten-makeover. 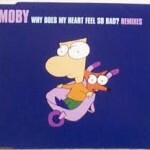 Ferry Corsten also remixed a couple of Moby’s tracks, amongst others Why Does My Heart Feel So Bad. It’s not only pop music that gets the dancefloor-treatment. For instance dutch rockers Kane got a sweet remix from Tiesto on their track Rain Down On Me. Tiesto also did a faboulous job on Skin’s track Faithfulness. I mentioned the Evanescence-track further up and also worth listening to is the Leama & Moor remix of Avril Lavigne – I’m With You. Even pop-synth artists like Depeche Mode has some really nice remixes out there. 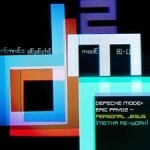 Depeche Mode’s Peace gets a remix-treatment by Sander Van Doorn. The last remix I heard of their material that I liked was the Eric Prydz-remix of Personal Jesus. To sum it up. The artists original tracks are made for their original audience while the remixes are made usually to fit a dancefloor or to get the usual radiolistener a chance to hear their favourite track made in a different way to fit other moods. What we have heard the last 10 years or so is that most artists are getting more dancefloor-friendly. A big example of this is the big crossover for american rap-artists to the european dancefloor with helps of DJs like David Guetta & Calvin Harris. No wonder that David Guetta was chosen the no1 DJ from the readers of DJMAG last year. 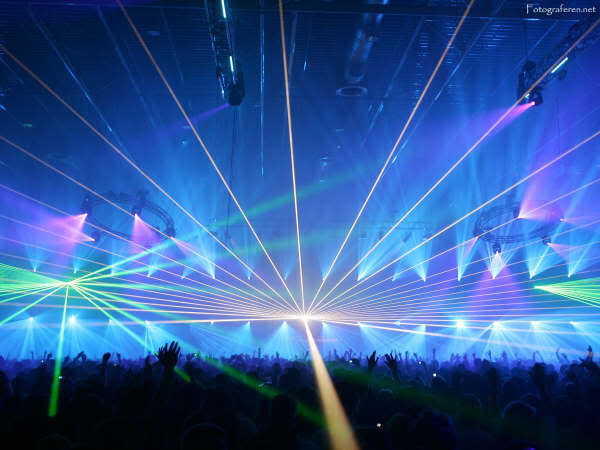 We can also see that big Trancemusic-names like Tiesto, Ferry Corsten & Armin Van Buuren is moving more towards housemusic nowadays as the big ”mass” which is into housemusic has taken over the dancefloors. Just look at the big parties like Energy or Sensation White which is more house-oriented nowadays than their origins in trancemusic. My hope for the future is that some of the people listening to popmusic on the radio could find new listening grounds in housemusic or trancemusic when listening to their favourite artist thru the remixes. If only 5% of the listeners gets inspired, i’m more than satisfied. And I guess the remixers will feel the same.